What’s Impacting the Future of Online Learning? As the popularity of online courses continues to increase, so do the developments that make it more convenient, more accessible, and a richer experience for everyone involved. Since we first started our online programs in 2000, the online learning industry has undergone many different changes. At Peirce, we seek to not just stay on top of these developments, but to stay ahead of them. It’s how we’ve been named to U.S. World News and Report’s list of best online bachelor’s degree programs for three years in a row. Through this journey we’ve observed what’s worked and what’s working now, giving us an insight into what’s impacting future developments in online learning. Below we discuss three of them. The increase of enrollment due to convenience and accessibility. As technology continues to erase time and distance limitations, online learning has made it possible for millions of students to be able to take college courses who otherwise couldn’t. Since many students are working, raising families, and have other obligations, committing to being in a specific place at a specific time for the duration of a semester presents a significant challenge for them. Fortunately, these students have found that online classes provide the flexibility they need to be able to attend class while still managing their other responsibilities. This comes as more and more people are recognizing that the competitive job market demands they update their skills and credentials to get ahead. They’re now able to work while taking online courses to advance their careers. With the constant changes in nearly every field, this trend is expected to increase for quite some time. For other students, online courses are helping them to complete their degree faster. Even those who are able to take courses on campus may not be able to do so at the time the course is offered. Online classes give them the opportunity to still be able to take that class instead of waiting until the next semester when their schedule may work better with the class times. Clearly, the multiple benefits of increased convenience and accessibility has currently and will continue to contribute to the growth of online learning. 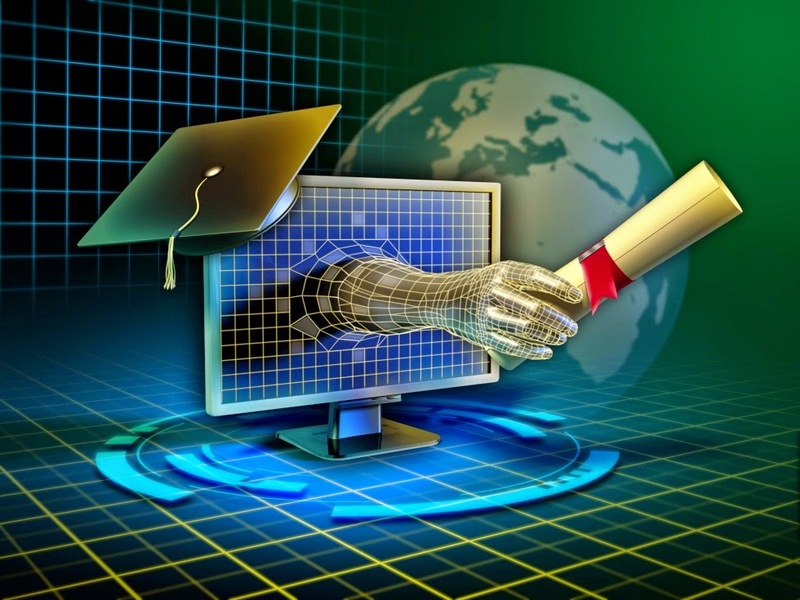 The continued advancements in technology will have a large impact for online learning. For example, faster broadband connections now make it easier for students and instructors to upload and download large multimedia files. This also makes it possible for different models and simulations to be presented online just as they are in the traditional classroom. Similarly students are also able to more easily create their own digital content as part of a class project. All of these factors will continue to contribute to a more innovative and interactive online learning experience. Not all advancements in online learning will be technology related. Feedback and insight from this new wave of online learners will be incorporated to make the quality of education better, both online and in the classroom. As more instructors teach online and more students continue to enroll, new insight is gained about how to best deliver the most effective education. At Peirce, we’re fortunate to have the entire college supporting our online learning programs. From the college president to adjunct professors, everyone is constantly looking for improvements in content, structure, and delivery. When an improvement is identified, that improvement is made across the board to all online classes that we offer. This approach pushes our entire online learning program forward rather than incremental improvements to a particular course. Similar approaches for the industry in general will continue to make online learning more effective for both students and instructors everywhere. What about you? Have you taken an online class? What’s been your experience? What do you predict will be the next development in online education? Could this be the Most Important Factor in Student Success? Welcome back students! As you return for the fall session and prepare for academic success, we thought it would be helpful to take a look at an issue that potentially has the most impact on class grades and degree completion. Obviously there are many factors that affect your grades and how long it takes to graduate. However, many educational scholars argue that class attendance can better predict overall college success than most any other factor. We agree. At Peirce, we clearly see the connection between students who regularly attend class and those who succeed. We’re convinced there is a direct relationship between absences, GPA, and degree completion. 97% of students who attend every class pass their course. Students who miss 3 or more classes per course have a 75% chance of failing and generally end up owing a balance of their financial aid. Missing even 1 class increases your chance of failing a course. 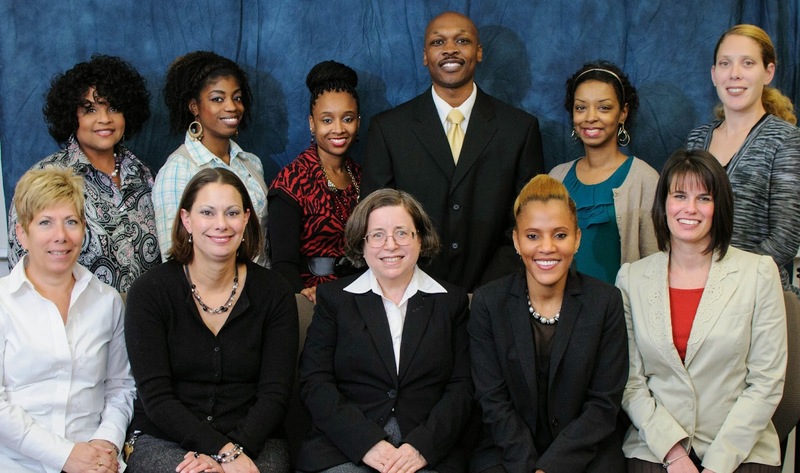 Peirce has a longstanding commitment to students who have busy schedules. Whether you’re raising a family, attending classes while working full time or just want to accelerate the time it takes to earn your degree, we’ve designed programs that help you reach your academic and professional goals in much less time than traditional college courses. However, as a result of this accelerated pace, a single class can be equivalent to three or four classes in a traditional college course. With only eight classes in each session, even missing just one could have a significant impact on success in the class as well as the impact that the class will have on your future. Missing 2 classes equates to 25% of the entire course, making it extremely challenging to catch back up. Then there is the financial consequence of missing class. Your financial aid, including any refund you may be due, could be disqualified because of class absences. If you fail or have to withdraw from a course, you may not receive your refund and will still have to pay for that class. Unforeseeable events can happen to anyone and sometimes missing a class is unpreventable. But if you suspect there’s a possibility you may miss one or more classes in a single session, consider our online courses that allow more flexibility. Good luck on your studies this session! If you need any support please take advantage of the many student services we offer to help you succeed. 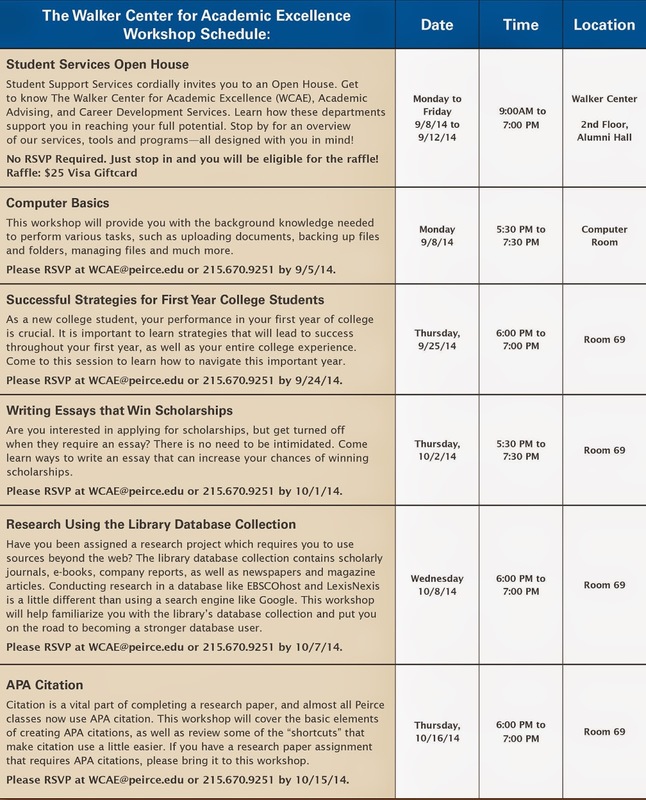 Student Services Workshops & Events are in full swing this Fall at Peirce College! Classes are starting and we at Peirce are here to help you succeed. To support you in meeting your academic goals, we're offering a lot of workshops, activities and events this fall. Take advantage of all you can to help you make the most of your academic experience and career development. Our Career Development Services (CDS) and Walker Center for Academic Excellence (WCAE or Walker Center) each have a full schedule of student resources available this fall. Designed to help you get to know your support team, excel in your classes, and succeed as an adult learner, these programs offer a little something for everyone. If you can’t make it to these sessions on campus, don’t worry! Virtual workshops and resources are also available. Check out the posters below for detailed information on events, dates, and times. 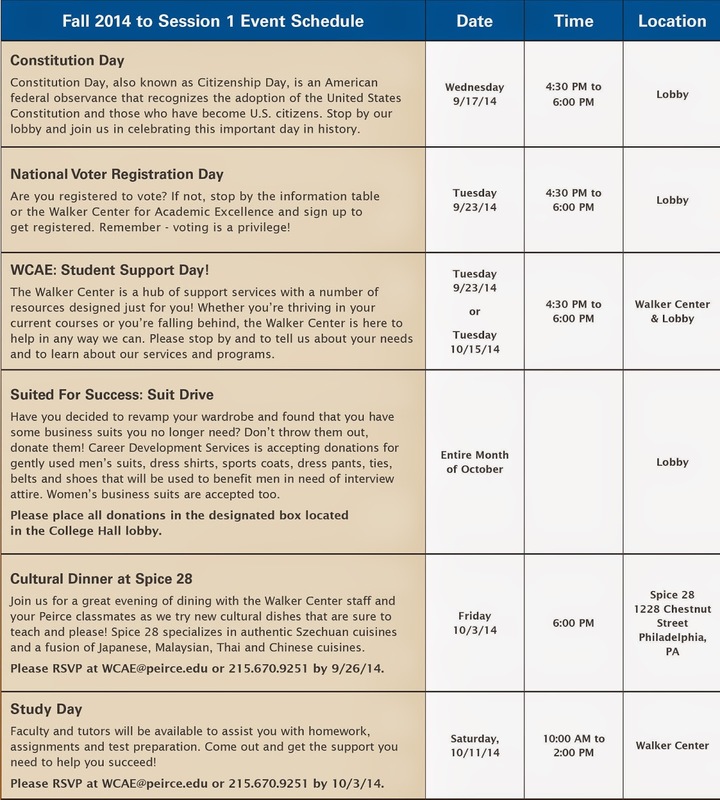 The Walker Center for Academic Excellence workshop schedule. Click to Enlarge. 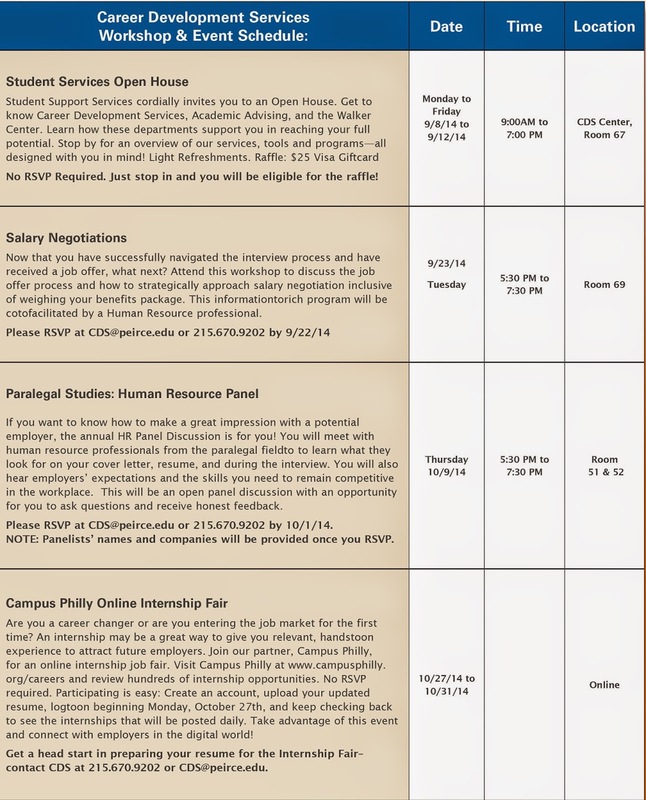 Fall 2014 to Session 1 event schedule. Click to enlarge. To register for a Walker Center workshop, or to attend one of our student events, contact the center directly at 888.467.3472, ext. 9251, or email WCAE@peirce.edu. You can also find out about additional services, like tutoring, disability services, academic counseling, and cultural and/or leadership development events. We’re looking forward to a fall filled with fun and informative workshops and events from our support centers! See you soon! This post is part 3 in our Leadership Series examining what it takes to be a leader in today’s quickly evolving workforce. Leadership in the legal field can come in a variety of forms depending on the type of career path you pursue. Because this field offers so many options, it’s impossible to narrow down the top two or three skills you’ll need to succeed as a leader. However, when examining some of the most common careers people pursue after a legal studies program, it’s clear there are a core set of skills that all leaders of those careers possess. People Skills – Building, nurturing, and maintaining relationships is a key part of a successful legal career. From colleagues to clients, people like to do business with people they have confidence in, trust, and like. Organization – Legal professionals are faced with large amounts of complex information, documents, and managing multiple priorities that have many different sub-projects. They work on competing deadlines and may have to sort through volumes of data to find a few key points. Understanding how to keep all of these different elements organized in a manner that works for you and other team members will be absolutely critical for success. consequences so a keen eye for detail is an extremely important for everything that gets done. Desire for ongoing education – In a field where new developments happen daily, legal professionals will continuously need to update their knowledge and skills. 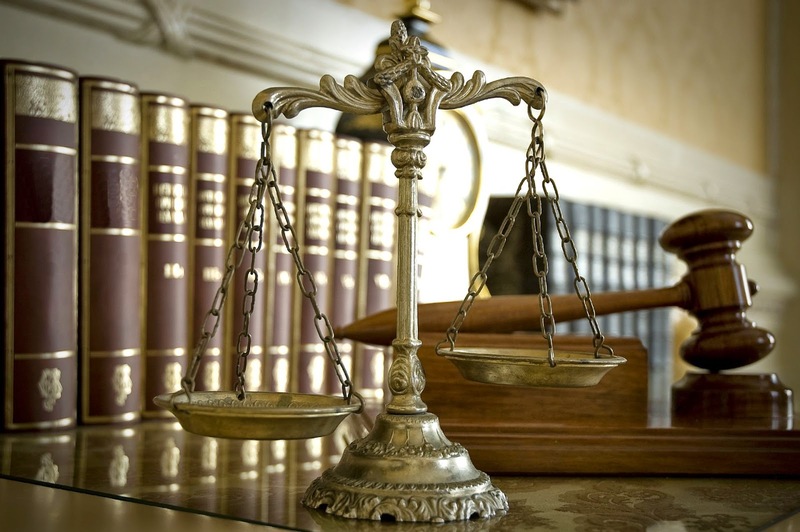 Most states require annual continuing education credits for many legal professionals. Creativity – This is truly a field where no two days will be alike. You’ll need to apply creative thinking to develop effective solutions based on circumstances that are unique to each scenario. Analytical and logical thinking skills – Leaders in the legal field must be able to examine and comprehend large amounts of complex information. They will be responsible for connecting the dots and painting a digestible picture for others to easily understand. In addition, they’ll use inductive and deductive reasoning to draw logical conclusions. Research skills – Most professionals in the legal field understand that excellent research skills are required to be successful. In addition to finding key pieces of pertinent information, they’ll need great comprehension skills and the ability to concisely communicate their findings. Writing – Leaders in the legal field must possess excellent writing skills. From emails and legal motions to contracts and agreements, a small grammatical error or poor choice of words could change the entire meaning of the document. Professionals in the field must have a strong grasp of the English language in addition to any technical terms that may be associated with a case. Time Management – It’s unlikely you’ll ever find a leader in the legal field who has an abundance of extra time on their hands. With hard deadlines and multiple priorities, understanding how to best manage your time will be a critical skill to develop. No matter which career path in the legal field you’re interested in pursuing, these skills will help you succeed and achieve personal and professional leadership. To learn more about the different opportunities in the legal field and how Peirce can help you prepare, visit our Legal Studies Programs and find out how you can get started today. This post is part 2 in our Leadership Series examining what it takes to be a leader in today’s quickly evolving workforce. 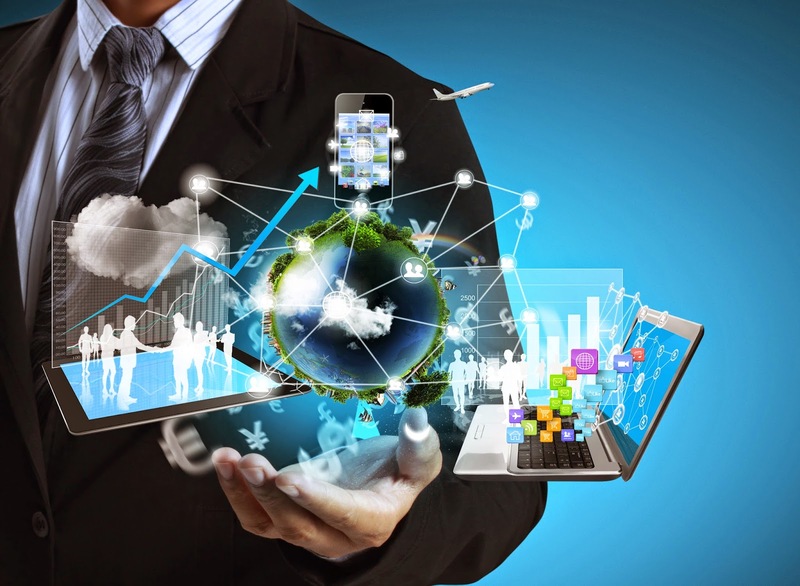 The IT management field has changed dramatically over the past decade. 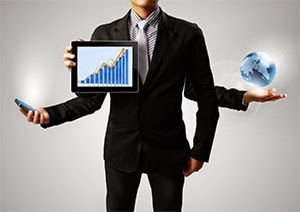 Information travels faster than ever, the workforce is connected, and everyone from marketers to CEOs are now involved in the technology decision making process. As new apps and technologies are being deployed across organizations, IT leaders must coordinate with employees, executives, and vendors to deliver a seamless experience for all users. While this transformation requires IT leaders to stay on the cutting edge of the latest technologies, it also means they’ll spend just as much time in the meeting room as the server room. In order to succeed they’ll need a strong combination of both technical and leadership skills. Let’s begin by examining some of the top technical skills in demand before discussing the leadership skills necessary for IT professionals. Programming and application developers are one of the highest in demand in the technology field. According to the Bureau of Labor and statistics, they have only a 1.8% unemployment rate compared to the national average of 6.2%. The types of industries they work in can vary greatly. For example, the financial firm BNY Melon has several hundred posted jobs with about 40% of those being in development. IT leaders in this field must work closely with a variety of stakeholders across the organization to understand their challenges and design technical solutions. Technical skills for professionals in the field include the ability to design, code, test, implement, and support software that meets the business’ needs. In addition, strong project management skills are required to ensure that solutions are delivered by a specific deadline and within a set budget. It goes without saying that computers and the networks they depend on are crucial to any organization. This makes network administrators highly sought after as they are a required part of any large company. In addition to computer networks, the demand for wireless connectivity has created plenty of new opportunities for leaders in the field. Similarly, as remote working continues to rise, network administrators are needed to manage a variety of telecommunications networks that allow employees to work while away from the office. Today, keeping an organization’s information secure from unauthorized access while keeping it available to those who count on it is more important than ever. A key skill needed for these leaders is the ability to work under pressure. Companies need their network in order to operate. So when problems arise, administrators must be able to correctly identify and resolve any issues very quickly. Never before has it been so important for an IT leader to learn the ins and outs of the entire business in order to recommend and deploy the technologies that will most effectively help the organization reach its goals. In many cases, this means having ongoing conversations with employees, sitting in on high-level meetings, and gaining a true understanding of the challenges that the company and its stakeholders face. Since the people you’ll encounter will have varying degrees of technical knowledge, actively listening to determine their concerns and challenges, especially those that the person may not even know exist, will be a critical skill for IT leaders. Once an IT leader grasps these challenges, they need to be able to effectively communicate their vision and recommended solutions to upper management, the IT employees they supervise, and to employees at all levels of the organization. This communication may take place in the form of one-on-one discussions, internal meetings, or company-wide presentations. Knowing how to communicate effectively in a variety of different situations is a key part of successful IT leadership. Clearly IT leaders are required to have more skills than ever before but as a result they have more opportunities. If you’re interested in learning more about starting or advancing a career towards IT leadership, feel free to explore our Information Technology and Technology Management programs. This post is part 1 in our Leadership Series examining what it takes to be a leader in today’s quickly evolving workforce. As the pace of change continues to accelerate, new leadership skills are emerging and becoming increasingly important in today’s business environment. Success will require a combination of traditional leadership with the adoption of the modern skills needed in the 21st century workforce. No matter what industry you are looking to work in, you can begin now to take steps to develop your leadership potential. The first step is understanding what skills are needed. Below we discuss three that are common among today’s successful leaders. If there is one word to describe what is happening in today’s business climate, it is “change.” The recession caused many companies to downsize or reorganize while technology and new start-ups are disruptive forces that require companies to constantly innovate in order to stay relevant. In many cases, being able to adapt quickly is one of the key differences between success and failure. Think about it. What do Kodak, Blockbuster, and Borders have in common? Their inability to adapt when faced with disruptive market forces was the primary reason they went out of business or lost significant market share. As Steve Jobs stated, “Innovation distinguishes between a leader and a follower.” That has never been truer than it is today. The pace of innovation in the marketplace requires leaders to not only adapt, but create new opportunities to stay ahead of their competitors. As a result, many leaders are becoming more “entrepreneurial” in their approach to innovation. They are always looking for new opportunities to improve, create, and keep customers satisfied. Effective leaders realize that innovation does not come from a single person. They leverage the collective creative capacity of their employees, partners, suppliers, and the feedback of their customers when looking for new and better ways of achieving their mission. They strive to build a culture that fosters the creativity needed for innovation. Whether your smartphone, your favorite social network, or the latest technology, it is safe to say there was an entire team that helped to make that product successful. While teamwork has always been important in the workplace, the level of collaboration that must take place will continue to increase as more sophisticated products are introduced to increasingly sophisticated consumers. Rather than just working within a team based on their organizational function, effective leaders are bringing together employees with different skill sets, experiences, and unique perspectives and uniting them under one common goal. They encourage each employee to voice their ideas and solutions. They must develop the ability to recognize and develop an array of talented individuals, and build teams that bring these diverse talents together. Today’s leaders understand their development is an ongoing process. They constantly try to improve their leadership skills and are always eager to learn. Of course the three skills shared here will not be the only ones you will find useful. As the business climate continues to change, so will the skills you will need to be successful. If you are interested in learning more about preparing for leadership in the workplace, take a look at our Bachelor Science in Integrated Leadership and Master of Science inOrganizational Leadership and Management programs. They are specifically designed to equip you with the knowledge needed to succeed in a leadership role. As the new school year quickly approaches, I have the privilege of working with many students who are eager to continue their education and advance their careers. Peirce students come from many different walks of life. Some of them are right out of high school, others transferring from another institution, and others are working adults looking to update their skills to gain a competitive edge in the workforce. Although Peirce College students come from different paths, many of them have similar questions that revolve around three primary topics: Degree completion, class registration, and financial aid. Perhaps you’ve also had questions on these topics but haven’t had the chance to ask. If so, take a look below at the answers to some of the most frequently asked questions. What’s the shortest path to my degree? Utilization of support services – seeking available tutoring when needed, attending/accessing on campus and online workshops, and communicating challenges and concerns to your Academic Advisor and instructors in a timely fashion. Why am I being asked to register for classes early? While early registration is not a mandate, it is a recommendation. Early registration allows students to reserve a place in the class. Students that procrastinate will sometimes find that the class they wanted to take has reached its maximum enrollment and therefore they cannot be added. When this occurs, financial aid cannot be applied until the student has actually been registered for a class. There are situations when a second section will not be added and therefore the student will need to choose another class, which may not be available when the student wants and therefore presents another set of obstacles. What terms can I register for? Once registration opens in April for the following academic year, it is advisable to register for all three terms (fall, spring, and summer). Not only does it reserve your place in class, but it provides a roadmap for degree completion. Will dropping/withdrawing from a class affect my financial aid? Yes, dropping/withdrawing will affect your financial aid. When you change your schedule, it is possible that the type and amount of financial aid you are eligible to receive will change. Additionally, depending on when funds are awarded and disbursed to your account, if you have not earned all the aid received, Student Financial Services may be required to return a portion or all of your aid to the lender. Will my class attendance affect my financial aid? Failing to attend class, online and/or on- campus, may result in a reduction of your financial aid award. This often results in a balance, sometimes very large, owed to the College. Therefore, it is imperative, that each week you are attending and participating in all of your classes. You must actively engage in your classes by submitting coursework on time, taking exams/quizzes as scheduled, and responding to threaded discussions. If there is an extenuating circumstance preventing you from attending class on-campus or online, notify your instructor immediately. Every instructor has the right to establish his/her own guidelines for accepting late work and exams. As always, if you have additional questions, contact your Academic Advisor or the advising center at 215-670-9177 or by email at advisingcenter@peirce.edu. We are always here to help! As the summer begins to wind down and the new school year is right around the corner, now is the perfect time to make sure your LinkedIn profile is fresh and up to date. By investing the time now to make sure your LinkedIn profile stands out, you’ll have a much better chance of connecting with key recruiters and employers when you graduate and begin your job search. It’s also a great way to start building your professional network with other people who are already in the field. Keep in mind that LinkedIn is also a huge search engine for employers to find qualified candidates. Millions of these searches take place on the site each day. The stronger your profile, the better your chances of being found by the very people you’re looking to connect with. · Start with your headline – Your headline is one of the most important parts of your profile. It is the first thing people will see on LinkedIn when they visit your profile, but it’s also what people will see when you show up on other places on LinkedIn. Your headline should contain keywords that communicate your value proposition. It should be the preview that makes people want to read the rest of your profile. · Create an engaging summary – Your summary gives you the opportunity to tell the world what’s unique about you. You should list your past accomplishments, your current skills, and what you’re working towards professionally. Take a look at the descriptions of jobs you want and be sure to include key words from those descriptions in your summary. This will give you a better chance of showing up in the search results of recruiters looking to fill these types of jobs. 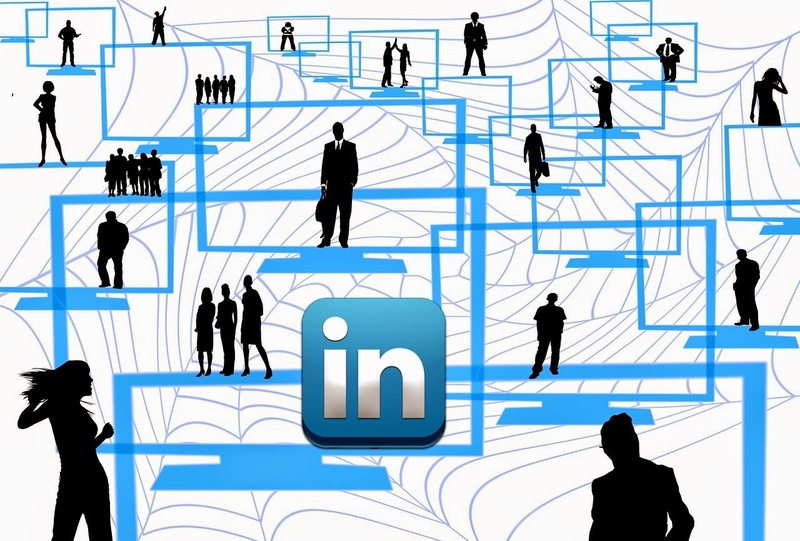 · Aim to have at least 100 connections – By having at least 100 connections you’ll show others on the platform that you take LinkedIn, and professional networking, seriously. It will also demonstrate your familiarity with technology and social media - key skills for today’s workforce. · Ask for recommendations – Although some find it a bit intimidating to ask for a recommendation, these are the gold standard for recruiters. Reach out to past and current co-workers who you’ve had a good experience with and ask them to recommend you. Offer to leave them a recommendation in exchange. · Customize your LinkedIn URL – Many LinkedIn profile URLs contain a long string of random numbers and letters. LinkedIn allows you to customize this in ways that make it easier for others to find you both on and off of the platform. The most common type of custom LinkedIn URL is www.linkedin.com/in/FirstnameLastname. These types of URLs look more professional, are easier to remember, and make it easier for search engines to find you. And finally, keep in mind that LinkedIn isn’t just your online resume. It’s a social network that allows you to join conversations with other professionals. One of the most effective things you can do on LinkedIn is simply participate. Post regular status updates to your profile, comment on status updates from other people in your network, and find a few industry groups to join. By doing this, you’ll start to become better informed about your field while already standing out to potential employers. Perhaps most importantly, remember that your LinkedIn profile represents your personal brand online. Every part of your profile will play a role in telling your story to future employers and to the broader online world, so make sure it’s the story you want to tell. E before I: The Founding Family of Peirce College. Every September at Peirce, we celebrate Founder’s Day in honor of Thomas May Peirce, who founded the College (then called Union Business College) in 1865. He would be the first of many Peirce family members to run the College; for well over a century someone in the Peirce family led the school. Thomas May Peirce was not yet 30 years old when he founded Union Business School, but he already had established himself as a leader and innovator in the Philadelphia education community. The son and grandson of teachers, Thomas May Peirce graduated from Central High in 1858 with a post-secondary certificate, and after a period of travel and exploration, began teaching in Philadelphia. He quickly rose to the position of principal at Mount Vernon Grammar School, working closely with students to ensure they would do well on their high school entrance exams. Peirce’s dedication to student success led him to found his own school in 1865 to educate returning Civil War soldiers and others for business positions that would need to be filled in post-war Philadelphia and beyond. The Peirce family came to Pennsylvania in the same time period as William Penn, and as Quakers who later converted to Methodism, they believed strongly in the value of education for both men and women. Thus, Union Business College’s first graduating class was co-educational, a rarity for the time period. Peirce worked to distinguish Union in other ways as well, including adherence to a strict policy of academic honesty, and skills-based learning. 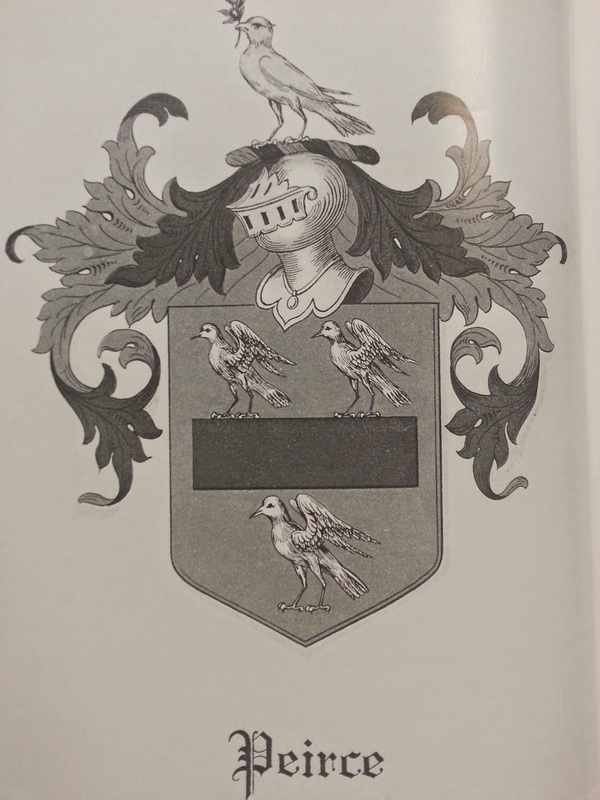 Though many schools promising a business education opened up after the Civil War, part of the success of Peirce was TMP’s insistence on providing an education that was immediately applicable in the professional world. 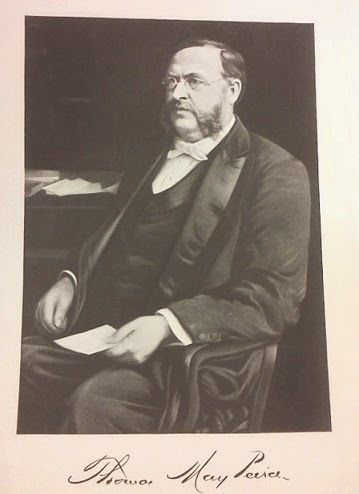 When Thomas May Peirce passed away in May of 1894, his wife Ruth Strong Peirce took over the reins of the college as Principal. She would hold the position for two years until her death, when the Peirce’s daughter Mary Bisbing Peirce would take over, running the school until her death in 1960. 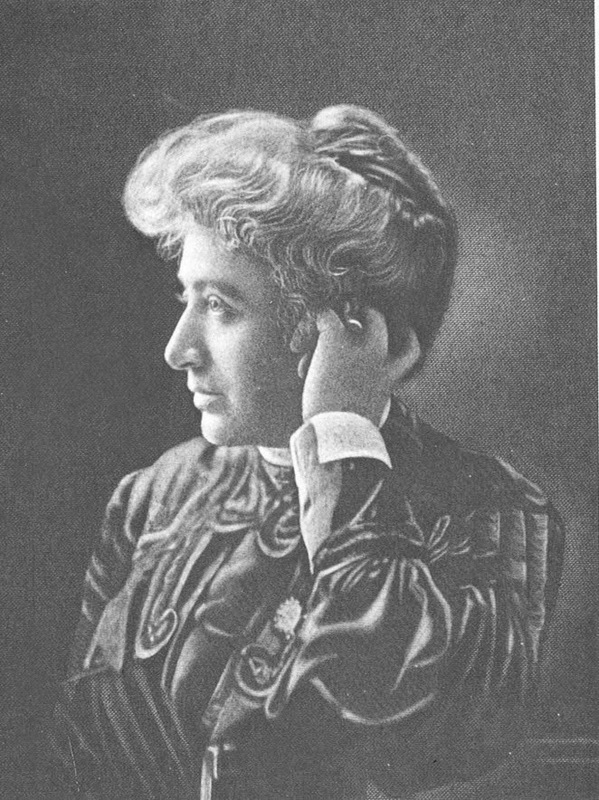 Mary Peirce was a graduate of Philadelphia High School for Girls and Dickinson College, but had little administrative experience. She delegated some of the day to day operations to the school director, Louis B. Moffett, and focused on expanding the school’s programming and guiding the College into the 20th Century. One of Mary Peirce’s most successful ideas was the creation of Spanish-American Department, which brought in students from Latin America to receive business training and English language skills. New Spanish-speaking faculty were hired, and the program gained worldwide notoriety, with several notable (infamous even) graduates. 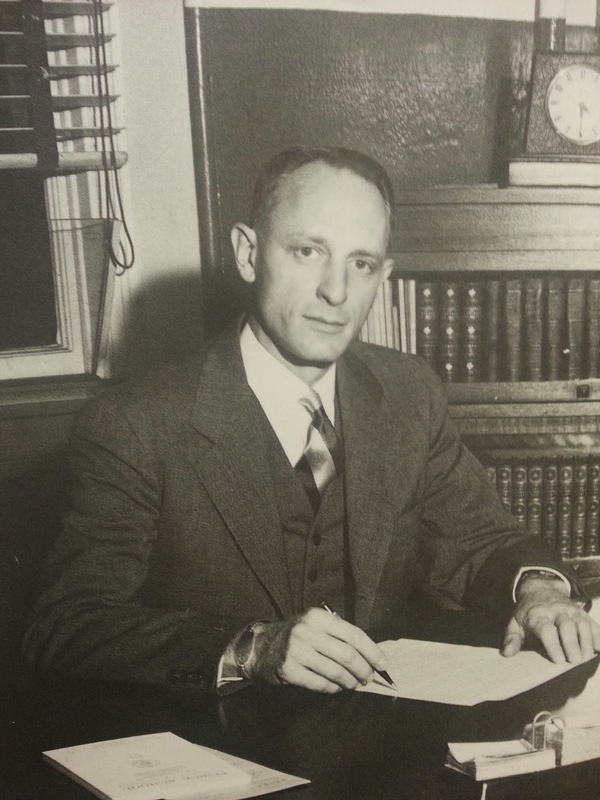 In 1946, Thomas May Peirce III, grandson of the founder and nephew of Mary Peirce joined the administration in a new position titled “Managing Partner, Chief Executive Officer.” A graduate of both Peirce and Dartmouth, he had spent several years in business before returning to Peirce as an administrator. Peirce took on several projects, including recruiting military students through the G.I. Bill and turning the school into an accredited non-profit Junior College, paving the way to the institution we are now. He retired in 1981, ending the family’s 116 years at the College.